Warning: The letter below will shock you. ... and possibly change your life forever. If you're willing to listen, I'm about to dig up the "untold story" of why your doctors, chiropractors and physical therapists are FORBIDDEN from curing your neck pain. "Why has NOTHING worked so far to permanently get rid of my neck pain?" Why do YOU think you have neck pain right now? Go ahead and think about that for a second. It's not a trick question, I promise. Do you think it's because your spine is out of alignment (as your chiropractor would tell you)... or that you have tight muscles? Or maybe you figure it's from an injury – either previously or recently? Or maybe you believe it "runs in your family"? Here's a bit of a shocking statement. As weird as it may seem, ALL those answers are wrong. Your own muscles play tug-of-war with your spine everyday, which causes muscle imbalances... which cause your pain! 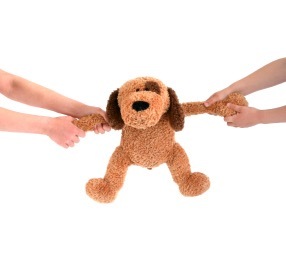 Take a look at the picture of the dog being stretched between the arms of 2 children. Imagine that poor little stuffed dog as your spine. The arms you see in this picture are your muscles constantly trying to pull your spine in either direction at the same time. When one side of your body is slightly stronger or more/less flexible than the other, it creates an imbalance. And just like in tug-of-war... the game seems relatively equal at first and you experience no pain. But as one side becomes more dominant, you begin to develop muscle imbalances. ... and then begins the endless cycle of popping pain killers, being in a constant state of discomfort, and finally heading to the chiropractor to try and fix the problem. But when your chiropractor cracks your back and neck... it may relieve the pain, but only temporarily. Unfortunately, your doctors have a "hidden" agenda that they can't tell you in fear of losing you as a patient. As you know, your chiropractor, physical therapist and doctor run a business, not a charity organization. Therefore... the more people they can shuffle in and out of their office each day... the more money they make. If they can't meet their quota for insurance, pay their enormous overhead and have enough money left to pay their employees and their own bills... their business goes bye-bye. B) Fixing you permanently, and losing you as a patient? A is the obvious answer - for them at least. If they don't have enough customers, they go out of business. So it's not that they're "evil", it's just that they need to provide a happy balance between helping you, and keeping their business alive. Part of this process is convincing you that you need to be treated for a specific condition. When someone first feels pain in their neck, they might put up with it for awhile, hoping the pain will go away. But when it doesn't, they start thinking of getting an MRI, catscan or an x-ray to figure out what's causing their pain. The problem in these instruments - while sometimes valuable... completely miss out on the most common ROOT cause of the problem you're dealing with... your muscle imbalances. You see, not only do your doctors need to keep their business afloat - they also have to keep the insurance companies happy. The insurance companies demand your doctors provide a specific "diagnosis" of what's causing your pain - that way they can "label" you and give you a generic solution for the problem. ... and even surgery - which has been proven to be unnecessary in over 80% of cases! But NONE of these treatments take care of the muscle imbalances which led to the herniated/bulging disc or other diagnosed condition in the first place! Finally you resorted to a chiropractor or other neck pain doctor, but that relief only lasted a few days because he or she can only fix the temporary misalignment in your spine. If you've had any of these experiences and you'd like to get off the Neck Pain Carousel once and for all, let me tell you about an at-home neck pain relief system that has helped 93% of people who've used it. Keep in mind - a success rate of 93% is higher than ANY other method of neck pain relief... including doctors, therapy and surgery! It's a shame that doctors these days don't have the time to teach the techniques necessary to correct your muscle imbalances and get rid of your pain for good. For that matter, it's a shame so many doctors never heard of muscle imbalances in the first place thanks to the standard "drug 'em and cut 'em" mindset conventional medicine teaches these days. Fortunately... one bold doctor refused to be a slave to insurance companies... and teamed up with us to put together the world's first and only customized neck pain solution that we know of. 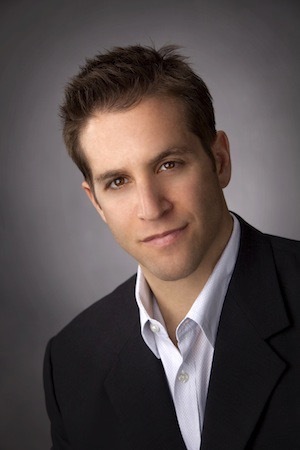 The Lose the Neck Pain® System was developed by a neck pain specialist and dear friend of mine, Dr. Paris. He is the owner of the Advanced Spine & Wellness Center and has completed 15 modules and over 240 hours of postgraduate training in spinal biomechanics, dysfunction and correction methods. 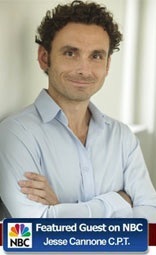 He's also a distinguished Fellow of Chiropractic Biophysics and a performance enhancement specialist. In other words - he's incredibly highly qualified - and one of the only chiropractors in the world to ever put together a course teaching the methods he personally uses on himself and his own clients in his thriving business. ... and very recently, I teamed up with Dr. Paris and put together a solution which is customized to your specific muscle imbalance so you can get rid of your neck pain once and for all. Many years of talking to people with neck pain showed us they were simply looking for an easy-to-do and inexpensive solution that was customizable to the exact condition they were suffering from. 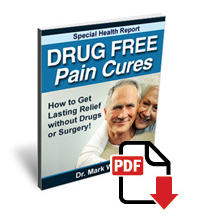 And after several months of blood, sweat and tears... and piggybacking off the success of our "Lose The Nack Pain System" which has already helped relieve or eliminate back pain in over 50,000 people worldwide... we developed a system that did exactly that. The program consists of 1 DVD, 3 audios, a reference manual and 90-days personal support (as well as many bonuses you'll see below). We believe in a whole-body approach to pain relief so you'll also get our specific health and mindset tips to help you not only reduce your pain, but reduce your weight and improve your overall health and fitness in every area. Yes, it'll take a few minutes a day (what have you ever accomplished worthwhile without some kind of effort? ), but everything you need to do is simple and easily done right from the comfort of your own home. No long car drives to the chiropractor, no expensive pain medications... and no more pain. On My Own Daughter Natasha First To Make Sure It Was Perfect! I've always heard that the way to truly tell if you believe in a product is to test it out on your own family. So as Dr. Paris and I were developing this product, we decided to enlist my daughter Natasha as our "guinea pig". She's in college so I don't get to see her as much anymore. Recently she let me know she's been suffering from chronic neck pain for a couple years now. Not excruciating neck pain (about a 5-6 out of 10 on a scale of 1-10), but the kind of pain that is annoying enough that you want to get rid of it at any cost. 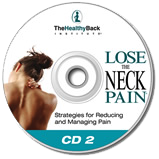 Dr. Paris and I sat down with her and taught her the techniques used in Lose the Neck Pain®. We showed her how to self-identify which types of muscle imbalances were causing her pain (we let her identify them herself... exactly like you'll be doing it)... and then showed her the exercises and techniques to do to correct the problem. Well let's just say that she had such great results from the system - she actually offered to be our "model" to show you the various exercises and stretches! I have to admit, she was a little nervous. After all, she's a young college girl who will now be "famous" after being part of our program so that was a little nerve-wracking for her. But she had a great time and was glad to help others enjoy the same pain-relief SHE got after going through the program. I believe in giving you EVERYTHING you need to succeed. I understand just how frustrated you are that your chronic neck pain seems to practically take over every nerve of your body... making it nearly impossible to focus ... so I'm here to give you everything you could possibly need to finally get the lasting relief you're searching for. ... our mission and you will understand that even though it is a self pasted program, we are here to support you and provide you support in anyway we can. A Lifetime Of Neck Pain Relief Cost? Thinking this system "costs money" is the wrong way of looking at it. Anything you pay money for which will bring you future benefits is an investment, not an expense. And that's exactly what you're investing in today - a LIFETIME of relief from neck pain. But before I reveal the small investment I'm asking you to make today in your new, pain-free neck... please review the chart below and consider the alternatives. I know you're probably skeptical. After all I'm sure you've heard people promising to help with your neck pain before, but so far you haven't seen any positive results. Everyone knows that flexibility is important, but how do you stretch when you're in pain? In this audio program you'll discover everything you'll ever need to know about the correct, and incorrect ways of stretching. Having trouble falling asleep is one of the most frustrating experiences you'll ever face. Worse yet it can lead to major health issues, irritability, a broken immune system, injuries, drastically reduced concentration... and much more! 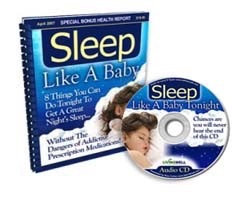 This audio reveals WHY you haven't been able to fall asleep... as well as how to apply a few simple techniques and experience the most restful, “deep-as-the-Grand-Canyon” sleep of your life! 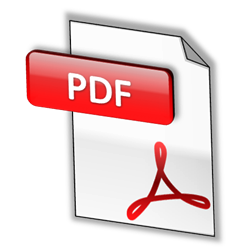 This instantly downloadable e-book is filled with over 180+ pages of powerful information and specific step-by-step strategies you can use right now and everyday to get and stay healthy. It's one of the most comprehensive yet easy to read and understand books on the subject of natural health. No other neck-pain-relieving product or service I know of comes with a guarantee (because they don't work)... so just to prove that my system REALLY does work - I want to let you try the Lose The Neck Pain™ System for a full 90 days before deciding. "You Get Relief or You Don't Pay"
"If The Lose the Neck Pain™ System Does Not Provide You With Quick and Lasting Pain Relief, Send It Back At Anytime Within 90 Days For A Prompt and Courteous Refund Of Your Purchase (minus shipping fees)"
Imagine the feeling you'll get as you can work comfortably all day long at work... go about your day without constantly having to massage your own neck... never have to deal with frequent headaches... and finally trash those harmful pain medications which are gradually eroding your stomach and putting your health at risk. Unless you enjoy driving to various doctors appointments on a regular basis, the fastest and easiest road to making this happen is by testing out Lose the Neck Pain® and seeing if it works for you. Remember ... if you aren't noticing improvements and starting to feel much better, simply return the system (at any time within 90 days) for a refund of the full product price (minus shipping for physical versions). Note To Canadian Customers: Please note that you are responsible forany duties, taxes or brokerage fees. * The online version works best if you have a High Speed Internet connection. 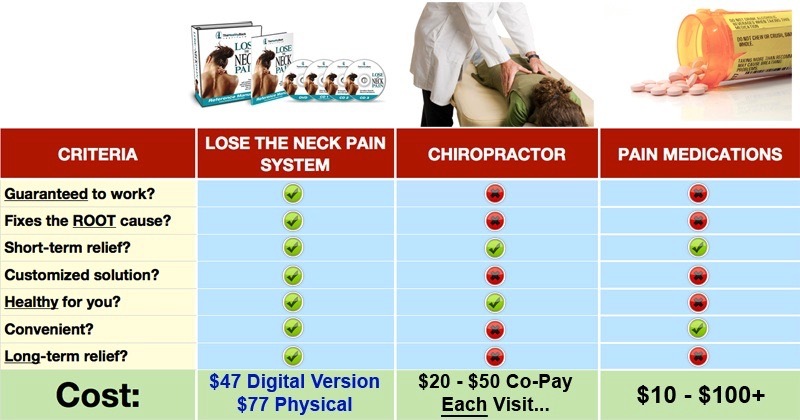 I trust you'll make the right decision in choosing to give the Lose the Neck Pain® System a shot. After all, you have absolutely NOTHING to lose and everything to gain. If it works for you - you'll finally have the relief you've been looking for. And you'll finally be able to throw away those "stomach-destroying" medications and get your life back to how it used to be! If it somehow doesn't work for you - you can simply return the product and receive a refund of the full product price (minus shipping for physical versions). Remember... our system has been proven to work for 93% of the people who use it. Surgery and chiropractors work for less than 50% of the people who try them... and in terms of long-term relief... much less than that. I think that's the fairest deal I can put together, and I'm sure you think the same. All that's left now is for you to reserve your copy of the Lose the Neck Pain® System and get started. P.S. Don't put up with your neck pain any longer. 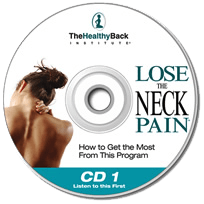 Get "The Lose the Neck Pain® System" and start living the pain-free life you've been longing for. Click the Add To Cart button now to get started. Q: How does the Lose the Neck Pain® System work? A: The system works by having you identify how and where your body is out of alignment. You will be asked to do very simple physical and visual tests and assessments. Once you know how you are out of balance you can begin a very specific and targeted corrective exercise program based the actual cause of your pain... not your diagnosis. Q: What do I get with the system? Q: How do I know the Lose the Neck Pain® System is for me? A: You can ask yourself this question: Have any of the healthcare professionals that you’ve worked with ever taken the time to assess you from a whole body perspective, told you how your pelvis is out of alignment, told you how your spine is out of alignment, told you which muscles are tight and which muscles are weak and then given you a targeted corrective exercise program to bring your body back into balance? If not, then you will benefit from the Lose the Back Pain® System. There is no way that you can't. Q: What steps will I go through with the Lose the Neck Pain® system? 1. Identify the cause: The first thing you need to do is identify the dysfunctions you have and the muscle imbalances that have created it. You can do this by performing a series of "self assessments." 2. Treat the Symptoms: You can't correct the problem if your pain is so severe that you can't move. So in this step you'll implement various strategies to help reduce and manage your pain so you can focus on correcting the dysfunction(s) that are responsible for your pain. Q: Is there an age bias to using the system? A: No. We have 90-year-old ladies on this program and every child on the plant should be aware of muscle imbalances so they do not grow up living with pain and not knowing how to address it. Q: How long does it take to do the assessment with the System? A: The assessment process should not take anymore then 60 minutes to finish. Q: How much time does one need to spend per day with the system? A: The average amount of time is 15 to 30 minutes per day; some do more some do less. Q: Do I need any extra equipment to use the system? A: No, extra equipment is not needed but you are welcome to use gym equipment or home gym equipment if it helps you and if you can tolerate it. Q: Is there a money back Guarantee for the System? A: YES, there is a prompt and courteous refund given for up to 90 days (minus shipping fees), no questions asked. All that we ask is that you use the system for 30 days the best that you can before deciding if it helps you or not. Q: Has the system been successful? A: The Lose The Back Pain® System has a 93% customer satisfaction rating over the course of the past 5 years. The Lose the Neck Pain® System is based on the same principles with a specific focus on neck pain issues. We are proud of this and work very hard to keep it. Q: What if I cannot identify my imbalances with the system? A: If you cannot identify your imbalances you are welcome to summit your assessment photos to our support department for help. Our Technical Support Department number is 1(800) 216-4908 #3. Q: Are all those testimonials real? A: Yes, we do not have the time or the creative imagination to think up all of those stories. The photos are of our clients and in most cases they are doing the activity they love to do thanks to the system. Q: I have had surgery and have screws in my body. Is the system right for me? A: The first thing you need to do is to ask your surgeon if you have any restriction to physical activity. If the surgeon gives you the clearance to do muscle balance therapy then yes you can benefit from the Lose the Neck Pain® System. Q: How long does it take to get relief? A: There is no way to determine how long it will take to get relief. With that said, please understand that the longer you have had your imbalances and the longer your condition has been systematic, the longer it will take to get results.